• Three Artery Sections. Includes skin, two foam pads, lubricant, tubing with pulse bulb, one complete artery, two middle artery sections, and instruction manual. Light. •	Three Artery Sections. 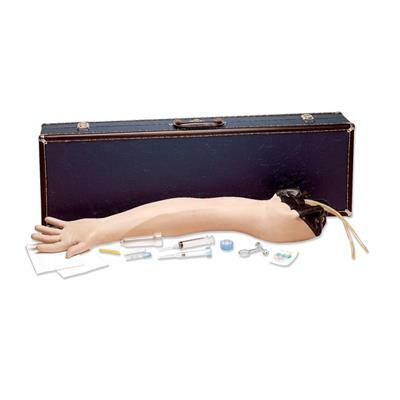 Includes skin, two foam pads, lubricant, tubing with pulse bulb, one complete artery, two middle artery sections, and instruction manual. Light.